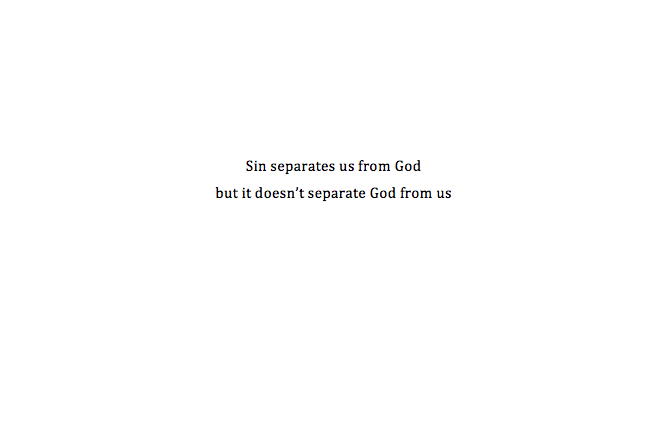 A while ago, I was thinking about this situation: Adam and Eve had just committed the first sin, and in their nakedness and shame, they hid from God. Much like how we feel after we sin – it’s this separation from God, this guilt and shame that hangs over our shoulders like a wet coat. What I found interesting, was that after the first sin was committed, God came looking for them.